What are the best products and gadgets for sleeping on the move? Don’t let your travels ruin your sleep experience. Wake up rested with these top tips and sleep products. We’ve all been there: waking up as the bus or train pulls into the station, slowly straightening out our necks and sensing a sore, creeping twinge that will stay there all day, and opening our dry, droopy, barely-rested eyes, hoping that there will be enough coffee in this city to get us through another day of sightseeing. One of the most challenging parts of travelling can be managing to get enough sleep while you’re on the go. As well as dealing with unfamiliar hostels and hotel bedrooms – all of which present slightly different challenges – traversing from one city to another adds an entirely different kind of hardship to your trip: long journeys. To avoid spending your sight-seeing time in a sleep-deprived mind fog, check out some of the following recommendations for sleeping in scrunched-up, semi-vertical, and other uncomfortable spaces. Even for the most threadbare traveller, these can be easy to fix. 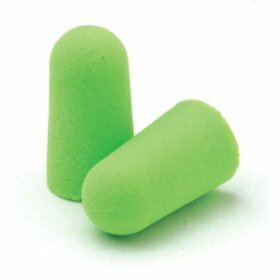 Earplugs control noise, or, if those are uncomfortable or unavailable, earphones (earbuds are more comfortable for when you try to rest your head) make a good replacement and allow you the option of putting on some soothing music to drown out the stuffy, crowded transit-atmosphere even more. Depending where you are in the world, public transportation vehicles can be severely over-air conditioned, often freezing, be sure to pack a scarf large enough to curl up in – not only to keep you warm, but also to increase your cosiness factor ten-fold. For your head or neck, a jacket or sweater bundled up and pulled in a u-shape around your neck will help to support it while allowing you to avoid carrying one of those bulky sleep cushions. Plus, if you would prefer a different position for your head, a sweater easily folds up so you can rest your head against the window with little hassle. To manage the unpredictable level of light in public transit, consider covering your face with a part of your scarf or investing in a sleeping mask. If you find the low-tech options described above are enough, there are plenty of products on the market to help sleep-deprived travellers improve their chances of getting some rest. But beware, most of these devices are not for shrinking violets and are guaranteed to raise a few eyebrows amongst your fellow passengers. Here are 4 of the most popular sleep products designed for travellers. The least stylish of these is a semi-medical-looking, quasi-Hannibal-esque contraption called the UpRight Sleeper, which holds your head upright in place in a secure, no-frills kind of way. Essentially it’s an adjustable neck brace, designed to help you sleep bolt upright whilst travelling. There’s no doubt the UpRight Sleeper is a weird looking device, but who gives a damn if it helps you get some good rest. The SkyRest is basically a huge inflatable cushion designed to suit compact seating situations such as airplane seats. As it packs down into a very compact size, it is extraordinarily portable – keep it in your bag or even a pocket to quickly transform anywhere – such as a camping chair or the floor of an airport or bus station – into a bed… of sorts. But like the UpRight Sleeper, this is not the most elegant product ever designed. The Hoodie Pillow allows you to rock up with comfort and style. Resembling a normal sweatshirt hood but with an inflatable cushion around the neck, this option allows you to travel in style and comfort while also providing a place for you to hide away from the world as you get cosy in your own little hooded nook. 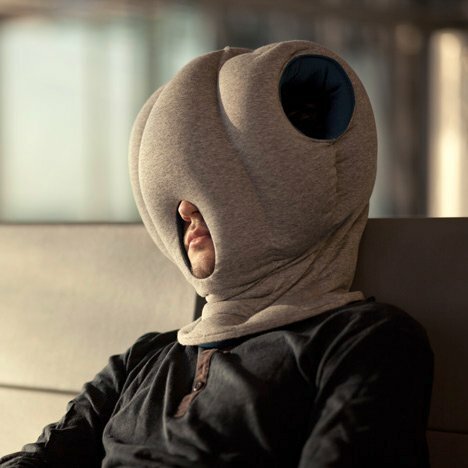 The award for the most bizarrre looking sleep aid goes to the Ostrich Pillow. This product allows you to bury your head inside its cushiony depths (there is a hold for your mouth and nose) and nap anywhere. The cushioning provides comfort for leaning against a window or wall, the neck support allows you to nap sitting upright, and the control of eye and ear stimulus allow you to sink into a deep, sleepy zone, wherever you are. Jayme Collins, originally from Canada, now lives in Berlin and works for GoEuro, a new multi-mode travel search engine. An enthusiastic traveller, she is constantly experimenting with new ways to sleep while on the go. 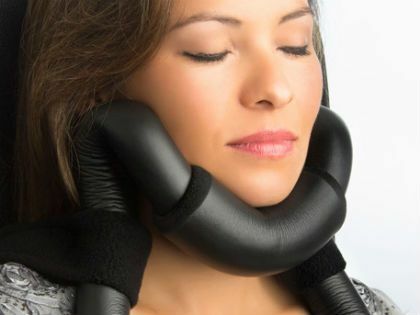 How and where do I purchase an upright sleeper neck brace?